Tips on getting your game greenlit on Steam Greenlight. 1. It’s all about the game. Whether Steam audience will consider your game good, depends on a lot of factors. But I would say the best strategy is to find a undeserved niche with enough demand. It is not a trivial task, since you just like every other indie have limited skills, money and taste. By limited taste, I mean, that you probably don’t like every genre and every setting. Those factors limit range of projects you can tackle. 2. Your greenlight page is your most important marketing tool. If you have only X amount of time to spend on marketing, I would spend it all on making a great trailer, screenshots, Icon and description. Don’t go to Greenlight, when you can’t provide good quality trailer and screenshots. A lot of developers say, that even when big sites covered their greenlight campaign, more than 90% of people still came from Steam. I can talk about about the fact you should probably support all Steam platforms and add localization for multiple languages in your game. But without good game and good greenlight page, those things will not make a difference. If your greenlight gets low percentage of yes votes and you understand that getting greenlit may take more than year. You have to decide how to properly spend your game development time. You can spend it trying to market your current game to get some votes outside of Steam, or you can start new project. I would advice starting new project. I believe, that low percentage of yes votes, is a good indicator of low sales. Let’s face it, your current game maybe just not good enough, not unique enough or not ambitious enough. With every new project, you will grow as developer and your games will become better. A year ago I couldn’t tackle project of Shadows Peak scale and quality. Even though I had Shadows Peak idea for years, before I was simply not there in terms of my skills and experience to deliver it. The road to “success” maybe be different for some other folks, but those are key takeaways from my own experience and research. Shadows Peak has been greenlit! I’m happy to announce you that Shadows Peak has been Greenlit in just two weeks. 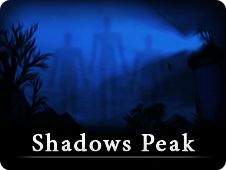 This means that I can now release Shadows Peak on Steam. Right now I’m transferring Shadows Peak to Unity 5 game engine. Since Unity 5 made almost all of it’s features available to personal license users, it means that Shadows Peak will have a much better graphics and optimization! 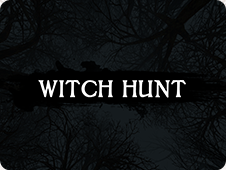 My new PC horror game is looking for Steam Greenlight. Shadows Peak is an atmospheric psychological horror that explores the dark side of a player. Please help us get it on Steam by voting on Steam Greenlight. Game is planned for PC, Mac, Linux. New version of Gynophobia game is gone live. Gynophobia is a horror shooter about abnormal fear of women. You can grab Gynophobia on Desura digital distribution platform for PC and Mac with a 60% Christmas discount. I’m currently investigating a Linux option. To celebrate Halloween, I’m giving away 100 keys of a horror shooter game Gynophobia. Gynophobia is a horror shooter about abnormal fear of women. Game is using classic first person shooter gameplay, to convey story about Mark, who is suffering from different phobias, including abnormal fear of woman. Game is currently available for PC and Mac. If you want to thank developer, please vote for Gynophobia on Steam Greenlight. Gynophobia is on Steam Greenlight! My new PC game is looking for Steam Greenlight. 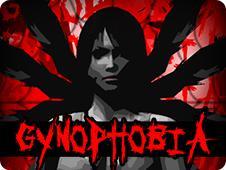 Gynophobia is a horror shooter about abnormal fear of women. Please help us get in on Steam by voting on Steam Greenlight. 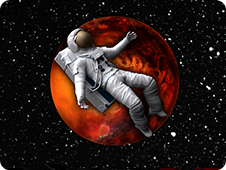 Cosmonaut Zero released for iOS and Android, and it’s free. Cosmonaut Zero – is a sci-fi survival game set in Sector Zero universe. Take control of subject zero and try to survive in a harsh environment of a strange spaceship using your jetpack and energy shield. Sector Zero released for Android. Introvert Go released for iOS for free. My new free game Introvert Go for iOS has been released. In this game, you take control over introverted character and try to avoid people on the street. Here’s gameplay video. Sector Zero is 50% off! Today is a 3 year anniversary of Creashock Studios, so basically 3 years ago I’ve started making Sector Zero. To celebrate that I’ve temporary discounted Sector Zero. You can get it for only 0.99$. Android version of the game will be available soon. At the moment I plan to release it on Google Play, Amazon Store and Samsung Store. Update: The deal has ended.